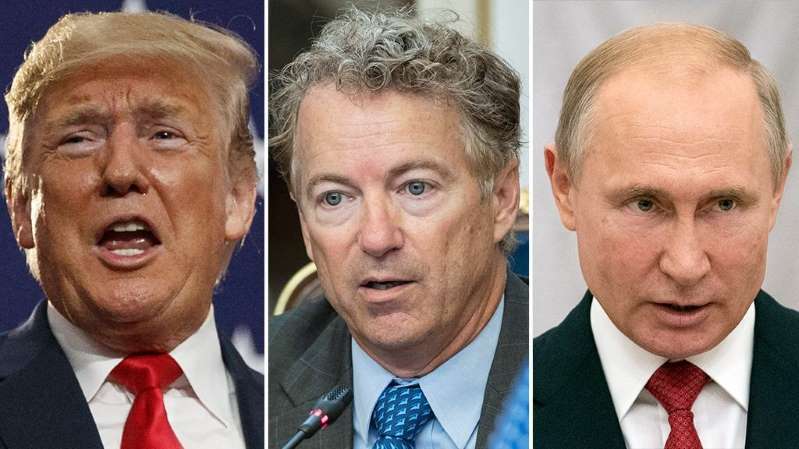 The White House pushed back against Sen. Rand Paul Wednesday after the Kentucky Republican implied on Twitter that President Trump had asked him to deliver a letter of introduction to Russian President Vladimir Putin. Paul, who has been visiting Russia with a delegation for several days, said, "I was honored to deliver a letter from President Trump to President Vladimir Putin’s administration." The White House told Fox News that Paul asked Trump to write a letter of introduction to the Russian leader. While Trump obliged the senator and wrote the letter, the White House said the idea that Trump asked Paul to deliver the letter to Putin on Trump's behalf is not true. [post_ads]According to the White House, the letter read: "I would like to introduce Senator Rand Paul of Kentucky, a member of the Senate Foreign Relations Committee, and a voice for expanding dialogue with the Russian Federation. He will be in Moscow from August 5 to August 8. "Senator Paul would appreciate the opportunity to meet with you to discuss several topics. He (Paul) is interested in leglislative [sic] exchanges, parliamentary dialogue and cultural and educational exchange programs, increased counter-terrorism co-operation, building on recent successes like the disruption of the St. Petersburg plot and resolution of the military conflicts in Syria and Ukraine. "Thank you for considering meeting with Senator Paul during his visit to Russia." Paul tweeted that the letter "emphasized the importance of further engagement in various areas including countering terrorism, enhancing legislative dialogue and resuming cultural exchanges." Putin's spokesman, Dmitry Peskov, said the Kremlin has not yet examined the letter Paul presented. "We expect that in the nearest time it will come to the presidential administration," Peskov said, according to Russian news agencies. The senator met with members of the Russian parliament's upper house who serve on the foreign affairs committee Monday. Paul said he had invited them to Washington. There has been no indication that a Putin-Paul meeting will take place.